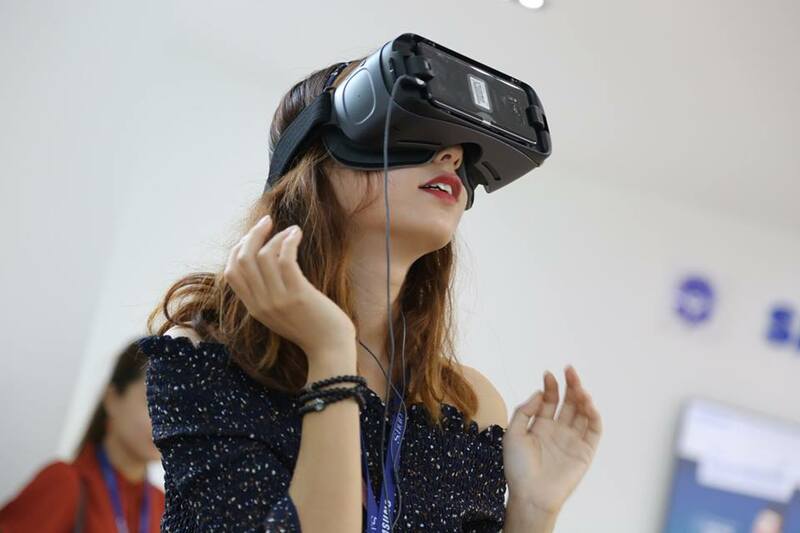 People in the central Vietnamese city of Da Nang have had the opportunity to witness the magnificent Son Doong Cave through virtual reality glasses. The activities were organized at an exhibition in the central hub on October 14 and 15, attracting over a thousand local residents, especially young people. The event was held by an organization named Save Son Doong, which was aimed at spreading the message of preserving the natural site. During the exhibition, 20 virtual reality devices were prepared to provide participants with a unique experience. They were able to observe the extraordinary beauty of the cave and listen to the sound of birds singing and streams flowing along with the voice of a tour guide. The virtual trip was created from the photos taken by Swedish photographer Martin Edstrom during his previous visit to the cave. The viewers could not stop complimenting on the scenery during their virtual exploration. “It was absolutely amazing! It’s like I was lost in a fairy tale,” Doan Thi My Lai, 26, remarked after her 30-mniute experience. Lai stated that it was her first time witnessing the beauty of Son Doong Cave. Despite having heard a lot about the famous destination, Lai had never had the chance to visit it due to time and money constraints. Ferdinand considered Son Doong the most spectacular cave he has ever seen, adding that the raw and unspoiled beauty should be preserved. A survey conducted at the event showed that 95 percent of the participants agreed that the original conditions of the cave should be maintained. They also objected to the construction of a cable car and opposed the idea of turning the site into a mass tourist destination. “You have to personally witness the pristine beauty of Son Doong Cave to treasure its value as well as to understand our message,” said 30-year-old Le Nguyen Thien Huong, leader of Save Son Doong. The group, with its 30 volunteers, has been organizing various conferences and exhibitions on Son Doong Cave over the past three years to call on the preservation of the site. Son Doong Cave, located in the heart of the Phong Nha-Ke Bang National Park in the north-central province of Quang Binh, became internationally known after a group of cavers from the British Cave Research Association conducted a survey of the area in April 2009. The cave has since become known as the largest cave passage cross-section in the world, according to National Geographic. Earlier this month, Quang Binh authorities finally approved a plan to install a ladder inside Son Doong to facilitate tourism activities, despite widely objections that it may destroy the stalactites that are millions of years old inside the cave.